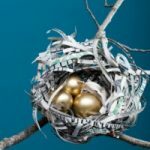 As a followup to my earlier article about Traditional and Roth IRA contribution limits, I wanted to point out that the contribution limits for 401(k), 403(b), and 457(b) accounts are changing for 2009. While the limit on elective deferrals remained steady at $15, 500 from 2007 to 2008, it’s rising to $16, 500 in 2009. Individuals that will be 50 or older by the end of 2009 can make an additional $5, 500 in contributions (up from $5, 000 in 2008), bringing their total to $22, 000. On top of this, the aggregate limit (also referred to as the 415(c) limit), which applies to employee plus employer contributions, is increasing from $46, 000 to $49, 000. There is also a $3,000 life time catch up amount, bringing the potential contribution maximum to $25,000. I understand the contribution limits of a 457 for 2009. Just found out I owe $1500 to federal for taxes on 2008 income. May I make a deposit to my 403 now and reduce those taxes or is it too late? I have been searching the IRS website to verify the 2009 limits. Publication 571 seems to only discuss annual elective limits through 2008 or did I miss it?? Where on the IRS website can I get the limits for 2009 for 403b? I heard that there are income limitation on tax-benefits on IRA contributions. 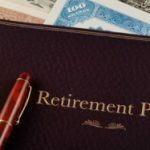 Do IRA contributions phase out from being tax deductible at higher salaries? if hyperinflation hits, then the money they saved extra will be useless.